The problem boils down to one thing – the lack of proper digital tools. At a glance, the digital customer journey might look the same for any industry. This is partially true as most of the digital marketing tools fit any industry. However, these tools are applied differently in each area of business. Let’s take a look at what should be taken into account in building a great online experience in eCommerce, IT, and tourism. In the first article of this series, we start with tips and tricks on how to improve the customer experience for online shoppers. With 59% of marketers experiencing good ROI after personalizing their online stores, it is clear that personalization is essential for an e-retailer to increase customer retention. Offering your customers relevant products is a good way to provide a superior online experience. Make sure you don't hammer buyers with irrelevant products, but rather offer the goods that complement their shopping cart. You should also consider the frequency of your messages, as constant upsells may alienate clients. Did you know in 2016 as many as 69% of eCommerce shopping carts were abandoned? 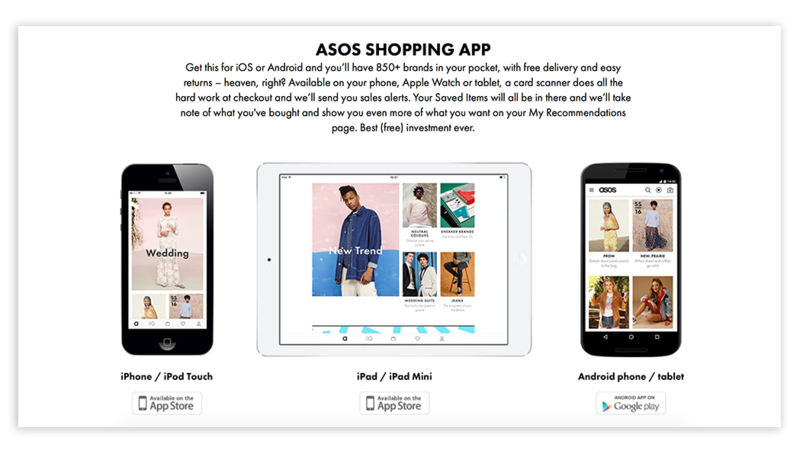 Implement A/B and user experience testing tools to find out why your clients leave the store. Does your checkout form fail to build trust? Or perhaps your return policy is not satisfactory enough? After the reasons are identified, send a link directing a buyer back to the shopping cart to boost a purchase. 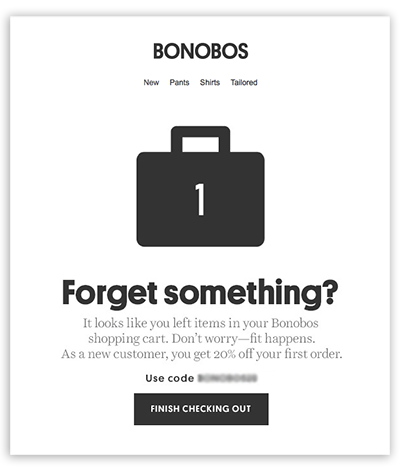 The shopping cart reminder by Bonobos triggers a little curiosity of what is left behind. 4. Implement out-of-the-box social media marketing. Make the sign-in process less time-consuming by adding a social sign-in feature. 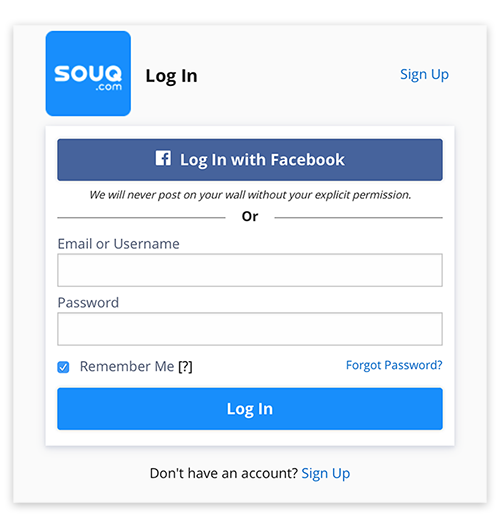 Many buyers are concerned with privacy issues, that is why SOUQ provides two ways to sign in. 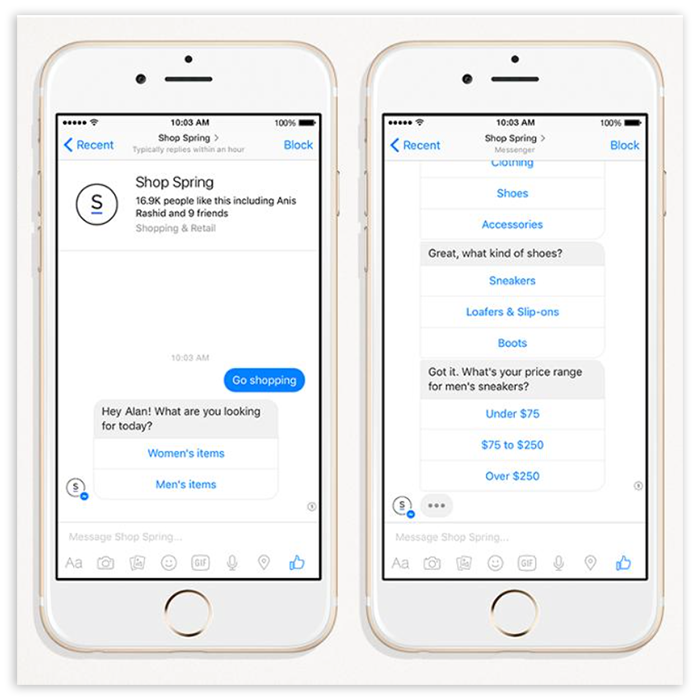 Facebook allows delivering automated messages through chatbots. Online shops now can automate their order confirmation, customer support, and even ensure upselling. Looking for a way to better position and market your products? Apply a social media monitoring tool to follow discussions on social channels. This will give you valuable insights on the needs and buying habits of your customers. Also, with the help of a monitoring tool, you may effortlessly discover opinion leaders in your branch. Contact them and promote your products on social networks afterward. Provide an opportunity to make a purchase on the go. Design a mobile app for your eCommerce business. Adjusting to different devices and operating systems is important. Asos knows it. Imagine interpreting what an item would feel like in your hands, or look like in your home. Today it is possible to implement with the help of Augmented reality. Transform customers' imagination into reality with AR technology. If a customer can accurately see what their new furniture would look like in their home, they will make a purchase with more certainty and satisfaction. Step 1: Share this article on social media. Step 2: Leave a comment telling us which ideas you're going to incorporate to your online store. Step 3: Go and implement these strategies right now.